So I am not that good at setting New Year Resolutions! 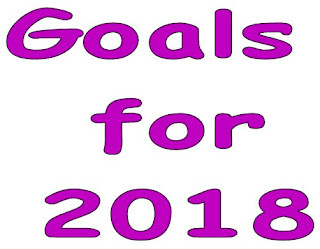 So instead this year I have decided to set my self some goals! Number One - I want to try and cut down the number of cups of tea I drink in a day! At the moment I am drinking between five and ten cups a day so I want to try and bring it down to at least three! So far I have had a minimum of seven a day! Number Two - I want to try and read at least 12 books this year! Before I had the boys I used to love reading and would be buying a new book every week! To help me with this I have joined a facebook group with some other mamas I know to discover new books and chat about them! Number Three - I want to spend more quality time with James! Since he has been in school, I very rarely get to spend quality time with him as normally Freddie is there too trying to pester us! But while Freddie has been napping or if he has been in bed early then I have made a big effort to either read with James or play one of his games that he got for Christmas! His latest favourite is snap! Number Four - I want to try and tone up a bit! Since I had Freddie by c section I do have a bit of an overhang on my belly, so since we are going on holiday in nine months time I'm making that my goal! and finally Number Five - I want to get out of the house for a long walk every day! It only takes me five minutes to walk to the school from our house and once Freddie is in playgroup I will have half an hour between his pick up and James so I will be using that half hour to go for a nice walk with Freddie! I really hope I can stick to these goals, although I am already failing on the cups of tea!